As seen on Twitter. 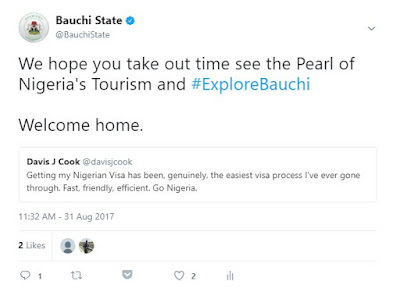 Bauchi state invited the Man who was happy to get a visa to Nigeria. Cool or Nah? 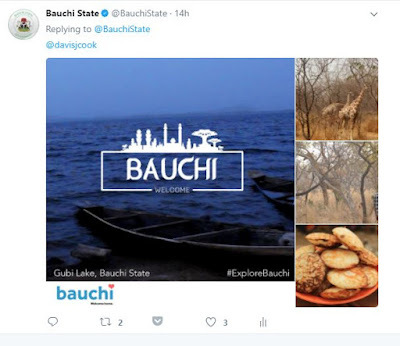 The State is really taking their tourism drive serious.